Tuesday, January 22nd, 2013 by Richard Clark. 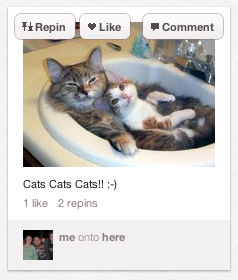 Pinterest, for the uninitiated of you, allows you to organise and share things you love — mostly food, drink, and kittens. So, all’s well and good, but how should it be marked up in HTML5? As the saying goes, there are a hundred ways to skin a cat (excuse the pun). We’ve created five possible options, one of which achieved some consensus amongst the Doctors. Be warned: some of the differences between options are small and may be difficult to spot. Look carefully at each option! Let us know which answer you would go with (or roll your own) in the comments. Make sure you show your working out. Also, please escape your HTML (or use pseudo code), or we’ll put a severed unicorn head skinned cat in your bed. Your answers below, please, with your rationale, by Tuesday, 29th January. Just scanning the options quickly, I would go with answer C.
3 Maybe the .convo could be a footer ? I’d go for D as it’s clearly a section within the context of a search as opposed to a stand alone article, and the image with caption is a clear use cae of figure and figcaption! I’m thinking C. Can a pin exist alone or be syndicated? A tweet can, and by the same logic a pin can. Hence it’s an article. Figure is clear. The Nav refers to options for that content and seems OK, and the aside seems sensible. My thought process, from the spec – a pin is an independent item of content that could be syndicated, so article preferred to section, so not D. I don’t think figure is appropriate, because it’s for things that can be taken out of flow and moved to an appendix, and the pins on the page are the whole point of the flow. So not C. nav says it’s for major navigation, so not A. aside is for things that can be considered separate from the main content – not true here, where the nav/stats only make sense within that context, so not A, B, or, oh, E. I’m out :) Perhaps an article just containing divs? Yeah. The Nav on C seems weird. I think figure seems OK as they could be put on their own with the caption and still make sense. Convo does look like a footer. The person above looks like what I’d do. I agree too with Matthew Somerville for the same exact reason. Each individual “pin” is clearly a self-contained composition so an <article> is entirely appropriate as the main wrapper. Leaving the “actions” segment as just an unordered list of links would mean semantically that this is content, which clearly isn’t the case. It does not contain links to other content (i.e. this isn’t navigation) so I would argue that a <nav> element isn’t the right way to go. <header> seems more fit for our purposes since this is supposed to be used to represent “introductory or navigational aids”. 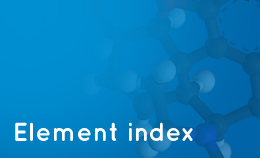 <figure>s are intended to contain accessory content, not the main substance of the section in question. The spec says they can be moved away from the main flow of the document without affecting the document’s meaning. I therefore don’t think it’s appropriate to use them for the main image and description here. This is the meat of our <article> (i.e. this is our actual content) so doesn’t need a special wrapper. The “stats” area doesn’t contain related content (related content would be a list of similar images or something) so an <aside> isn’t quite right here. According to the spec a <footer> contains “information about its section” so going with that is more appropriate. The “convo” portion is just standard comments functionality, so the convo wrapper should be a <section> and each individual comment should be wrapped in an <article> tag. Taking Matthew Somerville’s comments into account, I put together the sample solution. But I put the comments on a footer. Curses. I missed out on Pete’s reply. I really like Header for mini-navigation. Disagree on Footer for the stats. But again, Section-Article for the comments makes a lot of sense. @Alejandro – I think we agree that the stats wrapper doesn’t contain actual content; this is meta data. Therefore it needs a descriptive wrapper to distinguish it from the content. The question is: which element do we use? <aside> is very clearly meant to be used for tangentally related content. The stats are not “related” or “slightly connected” to our content, they directly describe it so I would argue that according to the specs <aside> is appropriate. To quote html5doctor “The footer element typically contains metadata about its enclosing section” which seems to me to be bang on the money. Sorry, I meant aside is “inappropriate”. Yes, I think we’ve come to something much stronger than the initial 5 choices. I think footer for the stats makes sense, especially if we’re putting the .actions into a header. I know neither are required but it gives a sense to me that this is the whole entity. Answer C seems best to me. Though I think the point is, there are many ways to interpret what is semantically correct. Luke Padgett has a point introducing the menu tag into the markup, cause nav would not be appropriate. the element with class=”convo” is imho the footer of the article. if there are comments or the comment form is shown, i would include another section. I would combine answer C with some of the great comments here. Note that the greyed section can also have child boxes with comments (there’s one added in my example below). As a Pinterest user I can experience a pin as an actual discernable item and i therfore use the <article> tag to define it as such. 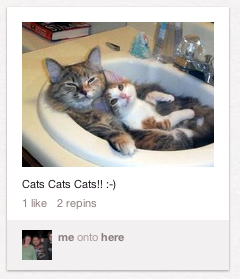 As a pin is the sum of the actual image and the pinner’s personal comment, i would group these together in a <section>. It is on this part of the article that I want run an action. As the actions are not on a different page or in a hierarchy i would elect to use the <menu> tag and not a <nav> tag for these. As for the stats, they are seemingly related to the figure, yet they are in actual fact related to the pin are therefore outside of this section. Lastly, the attribution and comments are footnotes to the actual pin and are therefore contained within a <footer>. But as the attribution and the comments are related to the actual pin each is also contained in an <aside> rather than a <div>. I was uncertain on the comments though, and I used a data* attribute to uniquely identify a comment. OK I’m convinced, its not C because of the nav tag on the actions buttons. Can someone advocating the usage of figure & figcaption, particularly someone who thinks it is clear/obvious, explain their reasoning for me? I’m with Pete, I don’t see how you can remove the picture and description while maintaining meaning. I’m still learning this so if I’m missing something I want to know. The figure element represents a unit of content, optionally with a caption, that is self-contained, that is typically referenced as a single unit from the main flow of the document, and that can be moved away from the main flow of the document without affecting the document’s meaning. Emphasis mine. If you were to use figure & figcaption could you really move it to an appendix or another page without affecting the meaning of the article? Both the stats & convo sections would really have no meaning if you were to do so. @Luke Padgett: you’re right about the <figure>. The image and the comment are the essence of the article after all should be placed in their section as first level assets. On second thought I would remove the <figure> and replace <figcaption> with a simple <p>. I had liked the inclusion of <figure> to link the caption to the image, but had forgotten that it is for non-essential content. So, I think it’s become clear that it’s not a good choice here. I’d just like to point out that C and D are invalid.’ figcaption’ must be first or last direct child of ‘figure’; it cannot have an ‘a’ element in between. The ‘a’ element should wrap the ‘figure’ element. Luke Padgett skinned the cat. Many great solutions here but I do agree w/ Luke and Pete. Can we not put the stats into a list? Aren’t they just a list of stats? If that’s information about the pin why not put that inside of the footer along with the .convo? 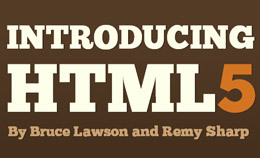 current definition of in HTML is problematic. I think it’s possible that too much is being read into that “can be moved away from the main flow of the document without affecting the document’s meaning” phrase in the spec. At least I think some readers may not be reading the spec critically enough and maybe are just accepting that there’s this restriction, but without questioning at all whether having such a restriction would even be a good idea. This is an element that’s basically just intended for enabling you to associate a caption with an image, right? So pretend for a minute that additional phrase isn’t there in the spec at all — or even, that the element is not yet defined in the spec — and you’re the one designing the language and defining the element. Ask yourself what sense would it make to design the language such that you restrict your associate-a-caption-with-an-image element to only being allowed for associating captions with images that are “accessory content” (or however else it’s been described in other comments). Steve and Michael – I’ve always taken that phrase to intentionally have the effect of discouraging figure for the main content. The reason, I believe, is that “figure” on a web page, is directly analogous to a figure in printed book, i.e. a diagram or inset that helps to understand the main content but can be independently positioned to suit the limitations of layout on a printed page. This is consistent with the way <b> and <i> are defined in HTML5 in terms of standard typographic conventions. It shouldn’t be necessary to use figure when the image is the main content, because all the text on the page is automatically it’s caption. I don’t consider this to be a useful way to view it, for example in the flickr use case the image is clearly the key part of the content (otherwise the page would not be there) and image clearly has a caption. In terms of how figure/figcaption are mapped in the accessibility layer, they provide a method to associate a caption with ,often an image. Associating all the content on the page is as if it’s the caption is not useful, but associating that bit of content under the image is. Also it should be noted that use of figure/figcaption is the ONLY conforming method to include an image in a page without an alt attribute, and is allowed for photo site use cases. I think the key here is that the <figure> can be referenced later like you would reference a table for its data. I think of it as a loaded version of <img>. I would go with Answer C, as <nav> seems like the right way to markup the action links. The actual block seems more of an < article> then a <section>, as they are shown in an order and submitted chronologically. The stats and author pic seem like content related to the actual image, but not directly related as the action element are. Finally, the picture and caption should be marked up as <figure> and <figcaption> elements because that’s how you do it in HTML5. I’d use none of the given answers. A/B/C uses article for .convo, probably because it is displayed similar to following repins/comments. But the first entry in .convo is not the “first repin” (maybe technically, but it’s about the meaning here) but the authorship and category info. So using article here is not correct (otherwise you’d use a separate article element for the authorship info of a blogpost, too). 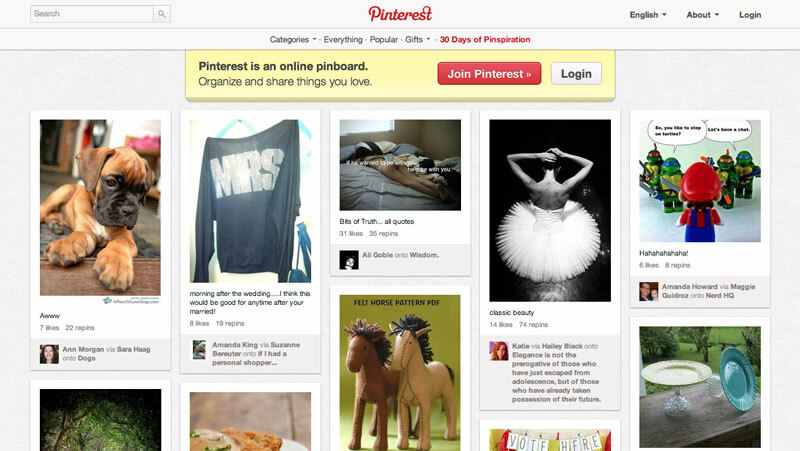 Let’s think of the Pinterest homepage, where the most popular pins might be listed, or think of a detail page where only one pin is shown … you can’t remove the figure without affecting the flow of the document, and the content isn’t referred to from the main content because, well, it is the main content. D uses section instead of article. Why? A pin perfectly matches every aspect of article in the spec. A section wouldn’t be wrong, but article fits perfectly and is more specific. E uses div instead of a sectioning element as container. While this wouldn’t be incorrect per se, it results in a document outline error. The aside containing the statistics isn’t part of the included article element. Therefor the aside is related to the whole document (resp. the next parenting sectioning element) instead of the article resp. the div. So it is lost (for the document outline and the sectioning) to which pin the statistics applies. Now to my answer. As the first step I discuss the usage of sectioning elements (section, article, aside, and nav) and how to “get” the main content by marking-up metadata (address, footer, and header). The second part is about how to markup the actual content and details. At the end I include the whole code. I think it’s clear that we need a sectioning element as container for the whole pin. Possible would be article or section. I think the article element is the right choice here: each post is a self-contained composition and in principle, independently distributable or reusable, e.g. in syndication ; it has (or could have) an own author, an own URL, a publication date etc. The main content of the article consists of the image and the description. It doesn’t need any markup. Everything else needs to be in its own sectioning element or marked-up with address, footer, or header. The statistics are metadata to the article (resp. the main content). We have two choices here: aside or footer. A footer typically contains information about its section , an aside contains content that is tangentially related to the content around the aside element, and which could be considered separate from that content . The main difference: aside is a sectioning element, so it creates an entry for the document outline. I think the footer element is appropriate here, because statistics are more than just tangentially related . The avatar and the paragraph about the author/category should be placed in a footer. The spec is pretty clear about it: typically contains information about its section such as who wrote it […] . One might want to include the paragraph in an address element, because it contains the link to the user’s profile, which could be seen as a way to contact the user. However, two problems: the paragraph contains more than the profile link (e.g. the category), but address must not contain information other than contact information . Also, at least for guests, there is no way to contact a user via the profile (so at most they could add an address element only for logged-in users, if they provide a contact form for them). They are missing in this example, therefor I don’t include the markup in my answer. But in general: each comment and repin should be enclosed in its own article element. As already noted, the “first” thing looking like a repin isn’t a repin but the author metadata of the pin. See → 1.4. For the three actions the following elements might be possible: aside, menu (in aside or footer), or nav. I think the header element is not an option, because these actions hardly count as introductory or navigational aids . nav and aside are both sectioning elements. Which one of those two would I choose? It depends on the question: Do these actions link to a certain part of the page resp. to a different page? If yes, then I’d go with nav. Btw: the often quoted for sections that consist of major navigation blocks is just a Note, and therefor not normative. However, if these actions would be classical links, I’d consider them the major navigation for that article, too. However, I don’t think that the answer to the question would be yes (I only assume here, because I never used Pinterest). “Like” sounds to me like an instant action, not loading a new page or jumping to a part of the current page. It fires and you are done. So it’s more like a button than a link. “Comment” would probably be a link suitable for nav, while “Repin” is probably somewhere inbetween. I wouldn’t want to separate the three actions, though. So, what about the menu element? The definition represents a list of commands sounds good for our case here. We don’t need a context menu or a toolbar, so we could go with the default (list) type (so I don’t think we’d run into any serious browser compatibility issues; however, for this quiz browser issues aren’t relevant anyway). To “exclude” this from the main content, we’d need to enclose the menu in an aside element (some might use a footer for that, but I think these kind of links are not good candidates for a footer, as they are in no way about the section). I removed the div with the class pin-holder. It’s not relevant for the markup. If needed as CSS/JS hook, simply add it back. Each of the three action links (inside of menu) should go into a li element. The statistics (p with class stats) are no “paragraph” ( a run of phrasing content that forms a block of text with one or more sentences that discuss a particular topic ). Use a div instead. Also, instead of using span for each statistic rather use div, too. Otherwise users of textbrowsers etc. would see one line of text without separators: “25 likes 2 comments 100 repins”. Instead of using a div with span elements, a ul would also be possible here. The image is linked with the detail page of that pin. Therefor we should use the link type bookmark. The avatar and the author name are linked to the user profile page. Therefor we should use the link type author. This is possible because we used article as sectioning element. Otherwise the authorship link type would apply to the whole document. If the markup order can also be changed, I’d place the main content (img and p) at the top, followed by the aside, followed by the footer (followed by comments). There seems to be a lot of confusion about how to use <figure>. It’s not *only* for things that can be taken out of the flow; the spec says “can thus be used” not “must only be used”. I’ve written to the Working Group today to suggest sublty tweaking the wording and, more importanly, giving some visual emphasis on the normative advice to distinguish it from that which explains or glosses it, but which isn’t normative. I would wrap the whole thing inside an <article> element for sure, considering repinning is some form of syndication. This is what the spec sais about the <nav> element: The nav element represents a section of a page that links to other pages or to parts within the page. Even though the actions are <a> elements, they aren’t linking to anything, they are actions. That’s why I don’t think they should be inside a <nav> element. I wouldn’t use <aside> either, as I consider it as content related to, but not part of the main content. But I’m in doubt about that one. I think that the definition of <figure> will be used to caption such content. and that the spec should be clarified and widened slightly to allow this. And I’m going with that. Also, I’ve included the comments section (not in the answers), containing each comment as an <article> as this is a pattern w3 is using in an example about articles. @Bruce – “The element may also be used ..” In addition to what, exactly? I think we understand the word “can” perfectly well. The sentence is providing the use cases for the figure. It’s not intended to be exclusively those use cases, the spec never (as far as I know) says that the listed use cases are the only ones in the description of any element, but if as an author it flags to me that if my usage is not one of the listed use cases, I should consider whether another element is more appropriate. The key word in the normative text in this instance is “referenced”. Once a figure is referenced, it can be moved at will. “typically referenced” indicates that it is not mandatory, but the spec provides little information about situations where it wouldn’t be referenced. It is that text and situation that needs clarification. One other small point to bear in mind; the figure element can contain flow content, not just images, so it is important that wrapping main content in a figure element doesn’t have the effect of accidentally cutting off headings from the document outline because the figure element is a sectioning root, and any contained headings will not appear in that outline. What benefit does constraining the use of figure/legend as intepreted do? What benefit is it to users who actually consume the semantics? The HTML spec is not set in stone it can and suggest should and will be changed in this case unless good reasons can be found not to do so. That’s a very good question indeed. And let me say up front that I don’t know the answer. What I do know is that for semantics to have any opportunity to work, they must be writeable as well as readable. Which means that many, many authors must find them easy to use in a consistent fashion such that the semantics of the element are reasonably dependable on real world web pages. It is my assertion that perhaps of all the new elements, figure is, in its current incarnation, one of the easiest elements to understand. I’m not trying to stop the HTML5 spec from changing. Clarifications and improvements are always welcome. What I am requesting, please, is that when you change the spec in the way I believe you want to, that the result answers clearly and unambiguously two questions. 1. How can an element that is “typically referenced as a single unit from the main flow of the document” be the primary and potentially only constituent of that main flow? 2. What is the use case for having a figure as the key content? Note the suggested change is not a normative change, it is informative. It, if changed would advise nothing more than is already advised in other parts of the spec in respect to use of figure figcaption. For example have a look at their usage in 4.8.1.1.10 A key part of the content. In relation to teachability of their use, I would suggest that “the elements can be used to markup an image or other content whenever it has a caption”, is about as simple as it gets, the complexity occurs when we start to try to explain the more esoteric advice (not requirements) in the spec. What is the meaning of the figure element when it doesn’t contain a figcaption? Or alternatively, why is the above fragment conforming? Depends on what you mean by “meaning” in practical terms figure maps to the group role in accessibility APIs. If it has no associated figcaption its a figure without an accessible name. What is the author intent in the example? What we know is that the h1 won’t appear in the document outline, but that is a theoretical concern. Is that the authors intent? At worst in practical terms the use in this case is crufty. Thanks. (For the moment forget about the headings. That’s just an unnecessary complicating factor). “At worst in practical terms the use in this case is crufty.” Right, that’s what I’m trying to find out. If the definition of a figure element is marking up flow content whenever it has a caption, is there any usage of the figure element without a figcaption which isn’t crufty? And if there isn’t, why does HTML5 permit it? BTW, “Meaning” as in Semantics, i.e. the higher level concept that applies to markup elements, which can be interpreted by browsers to expose to the accessibility API, and interpreted by other tools for other purposes. For example, in this case, maybe to extract from the web site a table of figures. Wow, thanks for all the comments and discussion everyone! As mentioned in the original post, someone commented on HTML5 Doctor asking how items should be marked up on Pinterest. Johan’s comment was in fact on our Figure & Figcaption article, so it’s interesting that we should stray into that discussion here as well. For what it’s worth, I agree that the wording of the spec should be amended along the lines that Steve and Bruce have suggested on the public-html mailing list. As many of you have pointed out, none of the options we provided are entirely correct. Hat tip to Matthew Somerville for first spotting it. I thought the debate would be more interesting, and wanted to see what you all came up with. With that in mind, how would we mark up a pin? Probably something like this (as some of you have done, we’ve changed the source order a bit). To explain, we’ve started with an article to wrap the pin, which we’re all agreed on. Next, figure with figcaption for the image and description, as we’ve confirmed figure can be used for the main content. We’ve then included the stats and attribution in a footer, as it is information related to the content. The stats are in an unordered list to ensure they are distinct entities, rather than running into each other as they would do currently using spans if the CSS doesn’t load. We’ve left the attribution wrapped in a div, as there is no natural heading to make it a section etc. Finally, we’ve also introduced the menu element for the action buttons now it is starting to gain some browser support. The menu type could easily be changed to a list, really depends on how the actions are implemented I guess. Continuing our cat metaphor, some other ways include using something other than menu if browser support was an issue and getting fancier with the attribution (and comments) markup. I wrapped the stats and attribution in a footer as I think they’re supplementary information related to the main content. However Dr. Studholme argues that the footer isn’t necessarily needed, as for him the stats and attribution are main content. The great thing is both answers are correct according to the spec — as with many semantics issue, it depends on how you perceive the content. Thank you all for taking part. 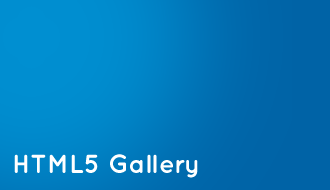 We hope you enjoyed it, and look forward to seeing what you come up with in the next HTML5 simple quiz! PS — Alohci, you’re spot on with C and D being invalid, I really should have spotted that. Thanks! What do you think about using the link types I suggested ( author and bookmark) for the pin? Here’s what answers A — E + my own solution look like: Answers The images aren’t all of the same original dimensions. nice of wordpress to change my quotes to typographic speach quotes. I didn’t enter them that way. So, sorry the link above won’t work. Then a screen reader will announce something like: “link image profile picture of me”. A link that points to a picture of me… and that is not true, the link points to a profile page. A better alt-value would be alt=”[name]s profile page”. So essentially what you are saying is that <figure> element gives no meaning to its contents but is simply a mechanism to attach a caption to a some content. If that is the case then I would suggest the use of the word “figure” is what is misleading rather than the wording of the spec. There are so many things to say about this, but what I really don’t get is why all the stats are marked up using spans. A span is for inline content, meaning that the 3 stats would be read a single statement, even though they are three different entities? If anything, I’d use divs there. The spec describes <figure> as being some flow content, optionally with a caption, that is self-contained and is typically referenced as a single unit from the main flow of the document. Therein lies the beauty of <figure>, that it can be moved away from the primary content — to a sidebar, say — without affecting the document’s flow. So what happens if we were to move this content to a sidebar? By marking this content with <figure&gr;, we are characterizing it as a “single unit” (by which I understand, it is able to be taken from its current context without affecting the meaning of what’s behind). In this case, it leaves footer information with likes and dislikes and ‘posted by’ information without context. What is wrong with a simple <img> for the image and <p> for the description? By the way… what a blog post. It has helped me waste an entire day. A follow-up to my last comment. Either <figure> is a tag meant for an image or graphic that accompanies and augments an article (as in, “see figure 1”) or it is, as Pete disapprovingly or disappointedly notes, merely a mechanism for captioning an image (with no other semantic overhead). This seems inconsistent with its being -the- main content in an article. Our example is a good illustration of why. First, ‘Moving it away’ leaves a footer that foots nothing. Second, it is not referenced from the main flow of the document. So I guess I am taking issue with <figure> being used as the main content. It is not that it’s superfluous, but self-neutering. Neutersome, to coin a term. Since figure is a sectioning root, it can have its own outline. And it allows for flow content like footer and menu with an optional figcaption. I have updated the HTML 5.1 editor’s draft informative text about figure. Feedback welcome, This blog post On joining the HTML editors team provides details on how you can comment. note that figcaption must be either first or last child of the figure element see content model. I prefer a markup with article, figure, and aside elements but no navs or sections. article, section, and aside are all sectioning elements. Wherever they are presented, there need to be heading elements associated with them. Since there are no headings in Pinterest entries, the above mentioned three elements might not be ideal candidates. @Ian, although they are sectioning elements, there is no requirement for them to have a heading (at least according to the spec). A nav for example won’t always need a heading, yet it is a sectioning element. The only issue I have with some of these options is the use of the nav element. I feel that the nav element is reserved for actual navigation. A group of anchor elements that act like tool options does not constitute navigation (they don’t link to related content or pages, or other sections). @Richard, yes, the spec doesn’t say we should add headings for sectioning elements. However, it can cause issues if not doing so. Sectioning elements form sections in the document outline. Without headings, they lost their identities and people have no way to tell their purposes in the document outline. Another concern is accessibility. After screen reader users reach a section, they need a heading to let them know what the purpose of the section is. For sections which don’t show headings visually, we still should add headings for them in HTML and hide their headings using CSS.